The Initial Configuration Tasks ICT wizard provides information of computer settings, updates and customized settings. 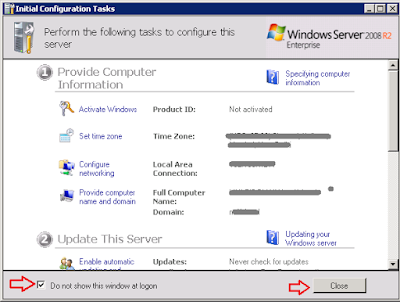 This configuration tasks wizard will be automatically launched at logon, you can disable or stop the automatic launch of Initial Configuration Tasks Extension at logon if its no longer required. 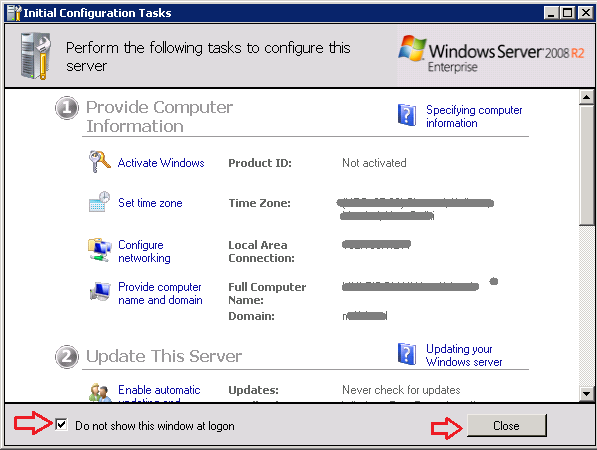 Method 1: Stop by the option "Do not show this windows at logon"
You can easily stop the automatic launch of Initial Configuration Tasks Extension at logon by checking the option "Do not show this windows at logon" and Close the wizard. You can also disable the automatic launch of Initial Configuration Tasks Extension at logon by setting value 1 in the registry HKEY_LOCAL_MACHINE\SOFTWARE\Microsoft\ServerManager\Oobe\DoNotOpenInitialConfigurationTasksAtLogon. 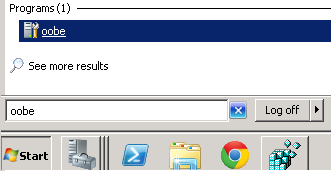 You could launch ICT wizard anytime by running the command "oobe" in Run Window or you can type "oobe" in search box and hit enter.